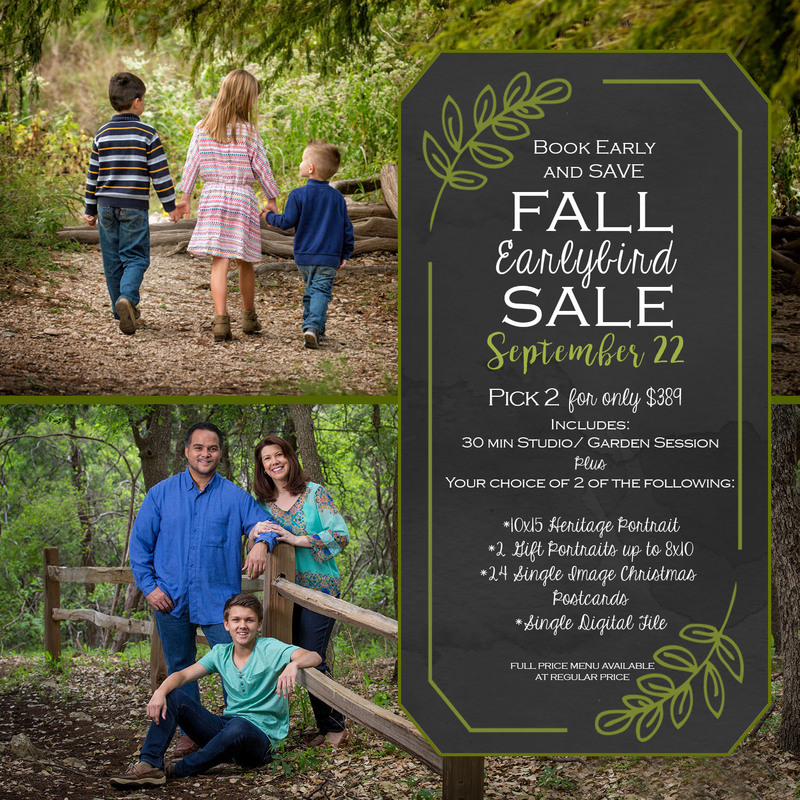 Fall is on it's way and will be here before you know it! of the activities of Fall. 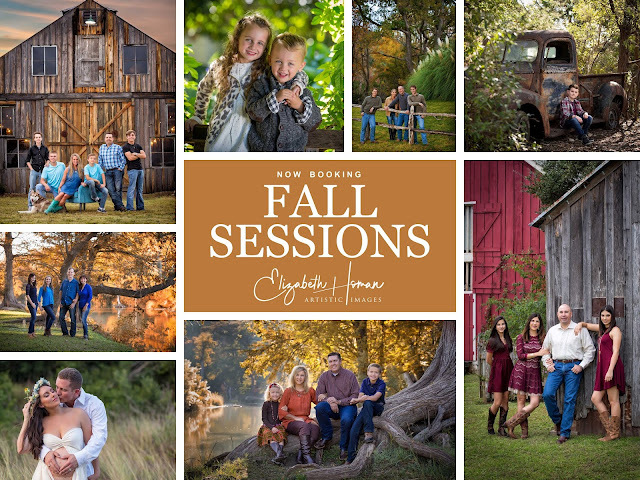 As Always, we can do a session at your favorite location, on the date of your choosing. 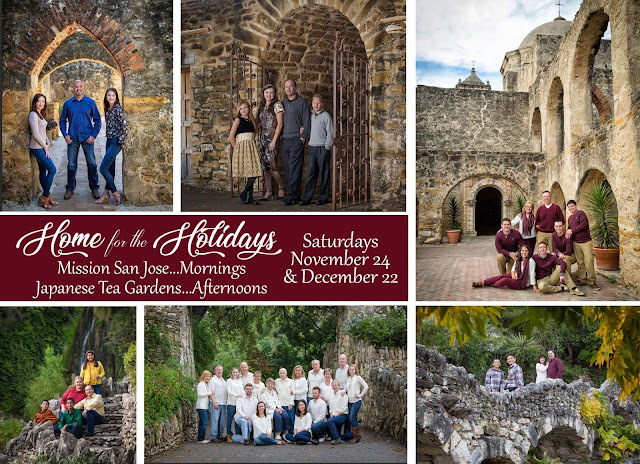 HOWEVER...I urge you to BOOK EARLY. as many sessions as we have done in the past. 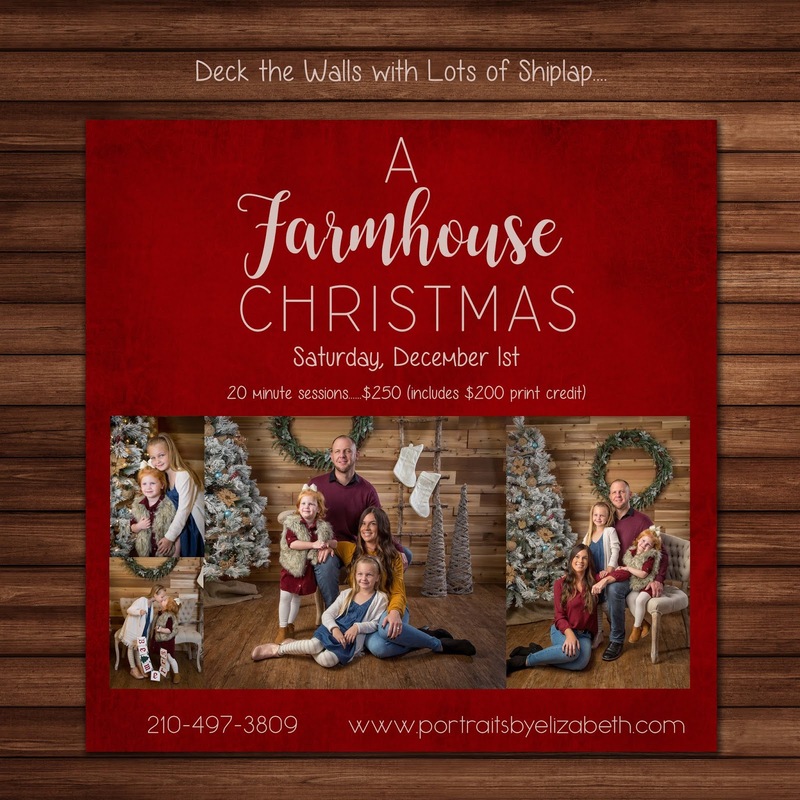 So, take a look at your calendar and call me TODAY to get you and your family scheduled. if that is easier for you. These sessions are 45 minutes-1 hour in length. 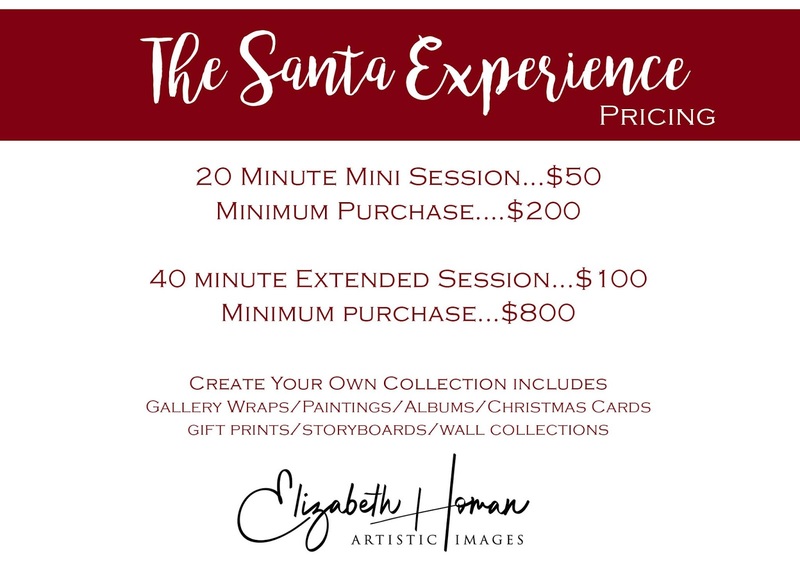 Session fee is $100 and a $350 minimum order. 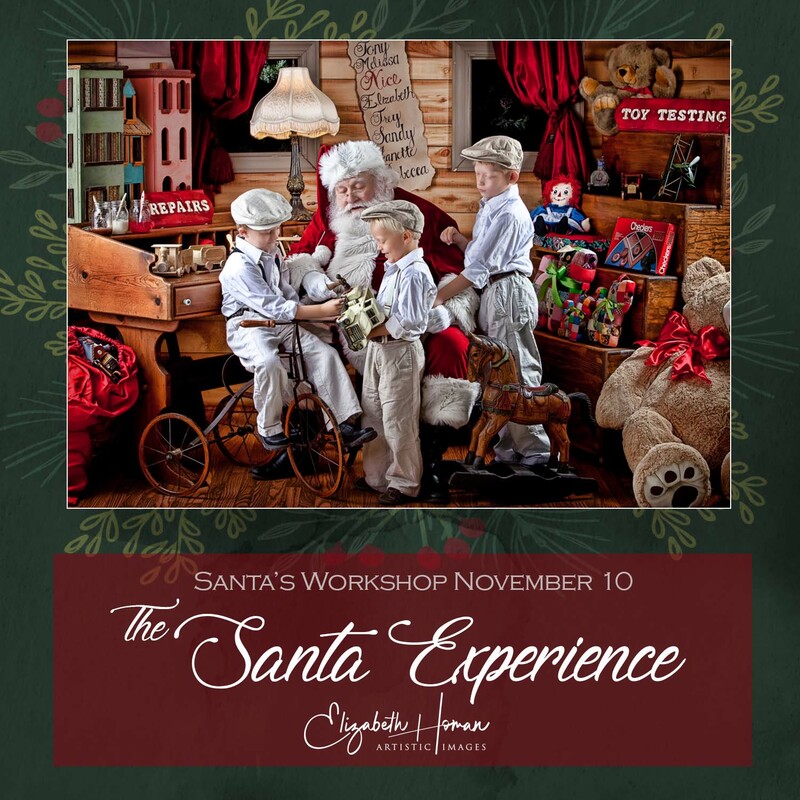 The Santa Experience 2018 Details are HERE! This beautiful scene will feature Santa Claus and some unfinished toys that need painting, as well as some antique toys that need a bit of tender loving care. Watch the magic unfold as Santa interacts with your child in this storytelling portrait session. This fun and whimsical kitchen scene is adorable with kids of all ages. 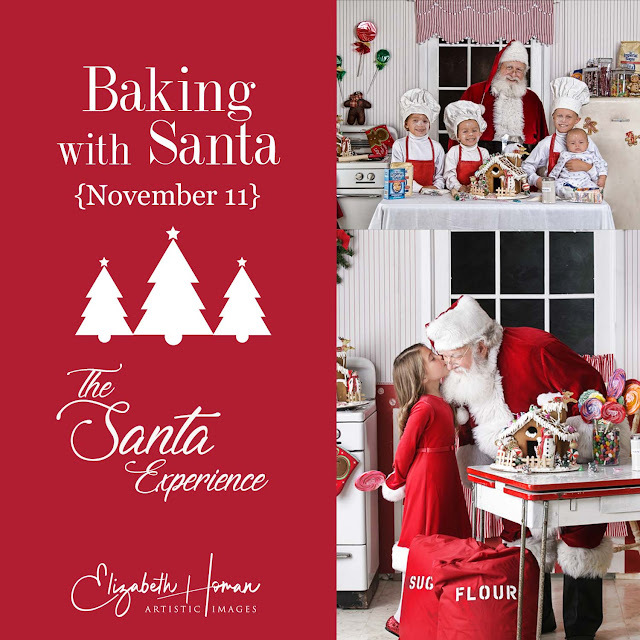 Your children will have the chance to help make some cookies and decorate a Gingerbread house with their favorite chef, Santa Claus! We will have aprons and chef hats to finish off the look. Be careful....a flour fight may ensue leaving your kids with the memories of a lifetime! 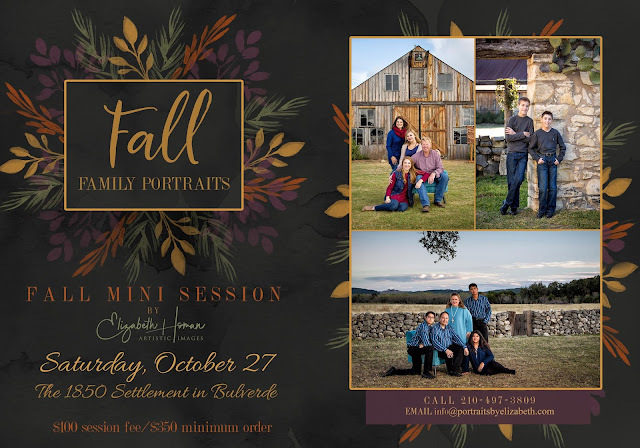 The week after your session, you will return back to the studio to view and select your favorite images for printing using our state-of-the-art projection system. 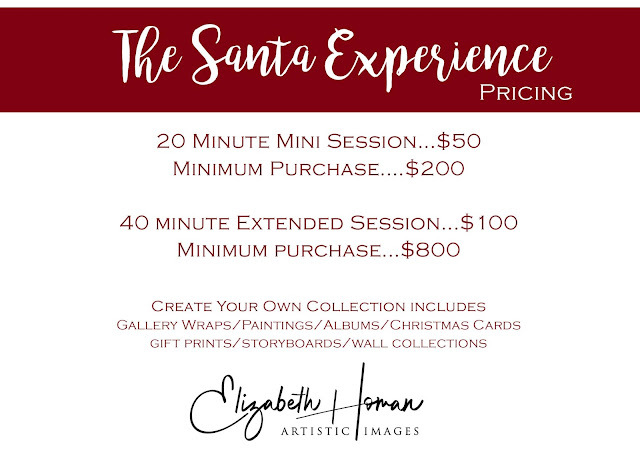 In order to book your session, the session fee and minimum purchase is due. We will mail a copy of our full Collector's Series Price Menu. If you have questions about anything, the best way to get those answered is to call us at 210-497-3809 where a friendly person will fully answer all of your questions.